Sharp AQUOS R smartphone announced, Stick with us to know more about the smartphone specifications. Sharp AQUOS R packed with 5.3 Inch Quad HD IGZO LCD 2.5D curved glass display with the resolutions of 2560×1440 pixels. Sharp AQUOS R comes with the platform of Android 7.0 (Nougat) powered by Octa-Core Snapdragon 835 processor with Adreno 540 GPU which is paired with 4GB LPDDR4 RAM. The Internal Storage is 64GB Universal Flash Storage (UFS) which might be having expandable storage but it is unclear about the expandable storage. The Primary Camera is 22.6MP with IOS, f/1.9 aperture, 90-degree wide angle lens which helps in clicking the best and perfect image and Secondary Camera is 16.3MP for selfies. 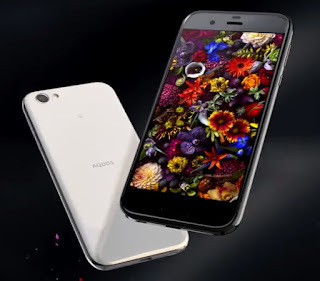 Sharp AQUOS R smartphone is Dust and Water resistance (IP×5-IP×8/IP6×) and the device is enabled with a Fingerprint scanner which takes seconds to unlock the device. Sharp AQUOS R has 3160mAH battery with 3.0 Quick Charge supports which claims long battery life and it supports 4G LTE network. The Dimensions are 153×74×8.7mm. 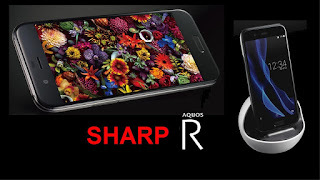 Sharp AQUOS R available in two different colors Black and white in colors. Coming to the product price is not yet announced.